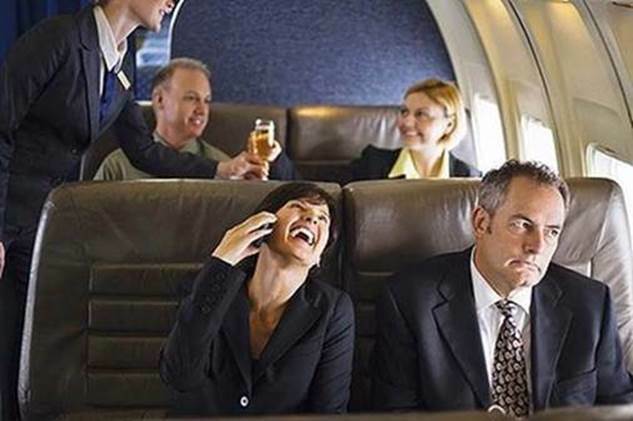 As the plane proceeded to take off, a woman sitting next to him pulled out her Mobile phone. She started talking in a loud voice: "Hi sweetheart. It's Sue. I'm on the plane". "Yes, I know it's the six thirty and not four thirty, but I had a long meeting. No honey, not with that Kevin from the accounting office. It was with the boss. No sweetheart, you are the only one in my life. Yes, I'm sure, cross my heart!"